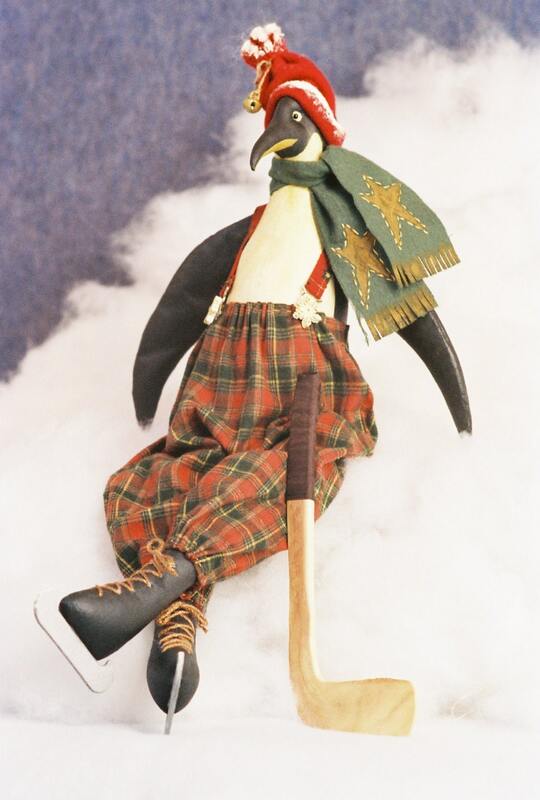 23" Tall Skating Holiday Penguin. He is ready for a hockey game over Christmas break. Body is muslin that is painted and stained. Eye area is needle sculpted. His skates are laced and blades are made of wooden canoe cut outs. Suspenders are adorned with snowflake buttons. Stars on scarf are painted. Instructions for hockey stick are included. Instant PDF download includes easy to follow instructions, doll pattern, clothing pattern and a complete suggested materials list.